Susan Kipp has been breeding dogs for over 30 years. To date, Susan has produced over 100 Norfolk champions. She currently has produced over 15 Best In Show winning dogs, winning over 120 total Best In Shows. Her line's reputation is world renowned as she has placed dogs in various different countries such as Japan, Finland, Columbia and Sweden. 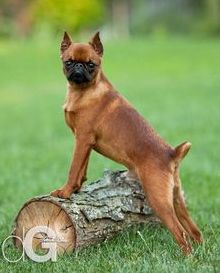 The success achieved in the show ring is secondary to the success of the Huntwood breeding lines. Health and temperament are the primary concern of the lines. She carefully plots out each breeding, examining how the pedigrees of the sire and dam fit together to produce the best possible puppies. Her philosophy is the she cares for her dogs as her own children, making sure they are raised in a loving environment.